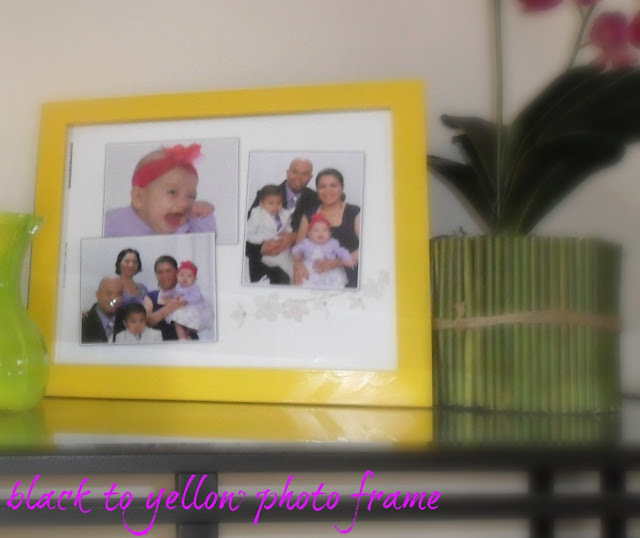 Did a quick project over the weekend ~ turned a photo frame from black to yellow! Spray painted it with yellow! I removed the glass and the other stuff attached to the frame first. Easy - peasy ...just left it there for the rest of the day. Put the glass back then a picture. Yellow! love that color, one of my favorite. God job, the frame turned out fantastic and now it looks so cheerful. thanks tabitha! 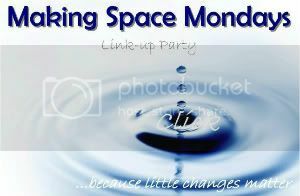 i enjoy your linky party...i see a lot of inspiration!! thanks for hosting!! and thank you for dropping by...hope to see you next time! Love the yellow! I've been wanting to spray some of my old frames white... now that I see how easy it is, maybe I will finally get it done! you should definitely do it Emma!! like i said easy-peasy! let me know and share pictures once you're done with it! i will see you next week on your party :) love your party! !thanks for hosting because i see a lot of inspiration..